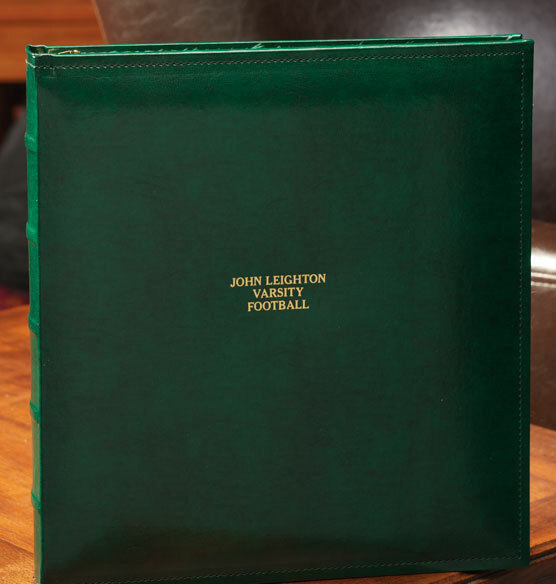 Charter extra capacity personalized photo album may well be the perfect leather album. 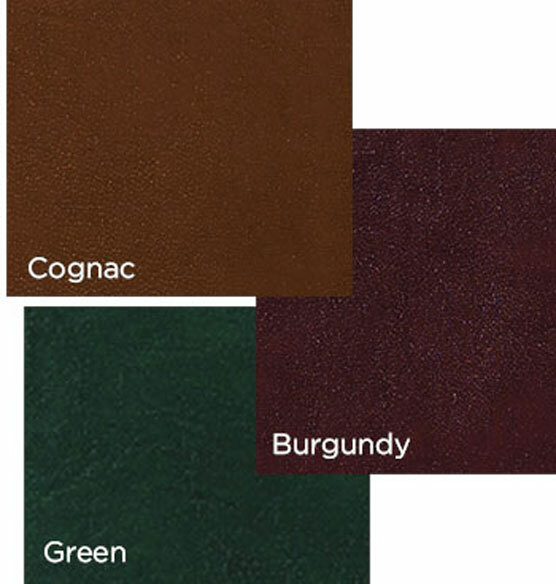 Classic styling ensures your photos stand out against the bonded-leather cover and matching moirè lining. The raised spine detailing really sets this album apart from all the rest, making it easy to recognize when stored on a shelf or bookcase. 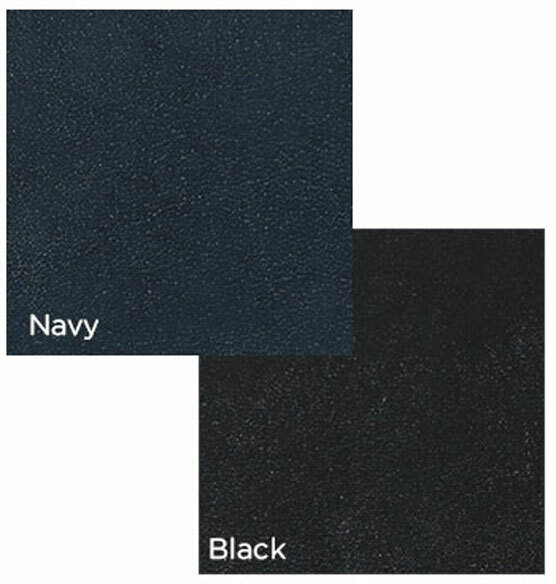 Stitching around the edges helps with durability and offers a nice finishing touch. Inside are three large, goldtone metal rings capable of holding up to 70 photo pages, giving you more control when it comes to arranging a massive number of photos. Personalize the front with a family name, date or meaningful text. Comes in rich, classic colors. I have been using this album to gather and archive all my old photos. It is great that it holds so many pages and yet so sturdy. I love the classic look of the album on the shelves, too! It is nice to be able to personalize with the spine patches. It makes it easier to locate which album you are looking for without taking it off the shelf! I had many photos of different sizes and this album worked perfectly to accomendate all of them. 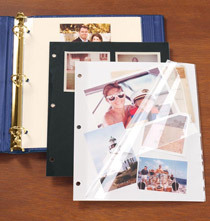 The 3 ring binder style and different size photo sleeves made a great presentation for a gift of old family pictures. The custom printing made it very special. It is advertised that free pages will be included with this album. I have the album in my cart, but the free pages are not showing up in my cart. What can I do? BEST ANSWER: Thank you for your question. The free pages will be packed with the box before we ship the album. We hope this information will be of help to you. Can you tell me how large the rings are in this binder--1 inch or 2 inches? BEST ANSWER: Thank you for your question. The rings are 2 inches in diameter. We hope this information will be of help to you. wont allow me to add to cart?? BEST ANSWER: Thank you for your question. Please select the number of lines for personaliztion, then select the color, then push personalize and personalize the item after that you can add the item to the cart. We hope this information will be of help to you. I am working on a five year library. 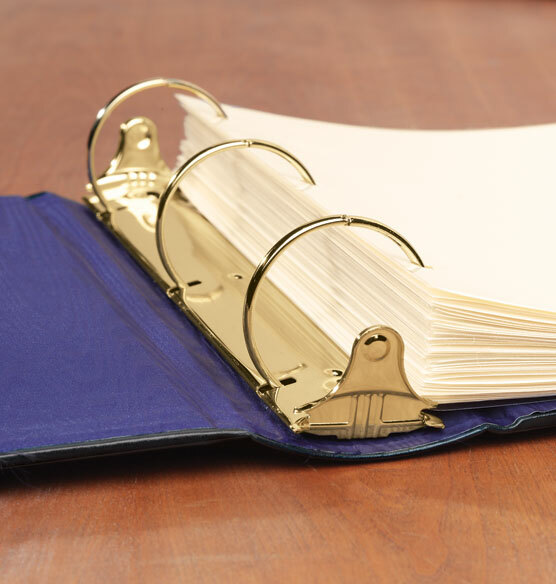 Is this product, green, three ring extra width binder always in stock? BEST ANSWER: Thank you for your question. Unfortunately no, we do not do not have the albums readily available, at this time we have 34 available, it is an active product. We hope this information will be of help to you. How wide is the spine? Compared to regular three ring binders? 1.5 inches? 2 inches? BEST ANSWER: Thank you for your question. 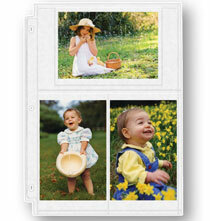 Our extra capacity albums are a 2" ring, the spine width is 3". We hope this information will be of help to you. BEST ANSWER: This album does not include pages, unless they send you a starter pack. I've used a large variety of the pages offered by Exposures, including 8.5x11, 4x6, 3.5x5. I would say not to use any of the pages that say, 12x12, those may be too wide for this book. 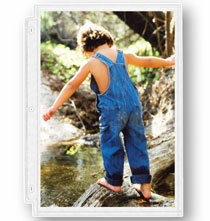 Do you offer the plastic sleaves for the photos for both vertical and horizontal photographs? BEST ANSWER: Thank you for your question. 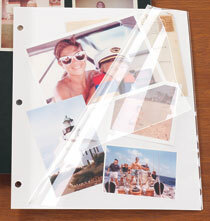 Yes, we do offer a large selection of photo pages to hold both horizontal and/or vertical photos. We have included a link below to these photo pages. We hope this information will be of help to you. what is the maximum # of photos this album can hold? BEST ANSWER: Thank you for your question. This album can hold up to 70 3-ring photo pages. The number of photos per page would be determined by which photo page you choose. Different page styles an hold different numbers of cards. We hope this information will be of help to you. I have previously purchased the Charter Extra Capacity Slim. What would be the most comparable product?